From Giant Tunas to shoals of Mackerel the deep clean waters off the coast of Clifden are full of exciting possibilities for all fisherman. Deep sea angling on one of Ireland’s best boats. Groups, individuals, novices and experts all welcome. 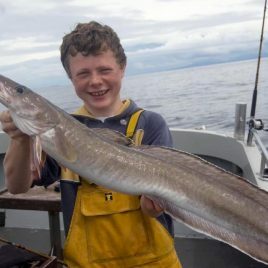 Blue Water Fishing is one of Ireland’s premier deep-sea angling centres, offering full packages of accommodation and reef shark or tuna fishing around Clifden, County Galway.